The SPCA van had only just pulled up at the village when an anxious man briskly walked up to the van to ask the staff: “How is Mei Mei? When is she coming back?” Mei Mei is his dog, and has been for many years. Last month, the SPCA took her away for neutering, but kept her at the centre for longer than usual so that the vets could treat her for an ailment they discovered. 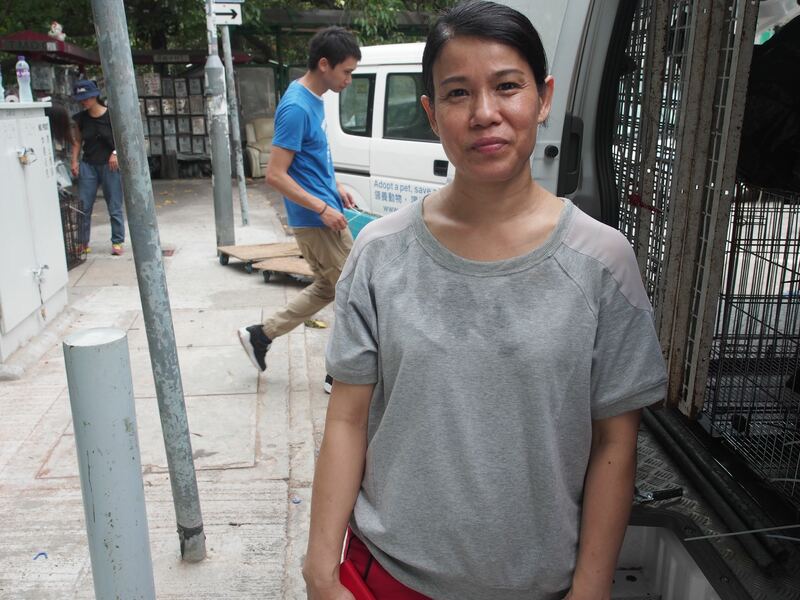 On this visit, the SPCA planned to take away four more dogs, all of them Mei Mei’s progeny. In just a few years since Mei Mei’s arrival, this small village has seen the birth of many litters of pups, one after another. There were just too many dogs now for the villagers to manage. “Only by neutering these dogs can we really help both the dogs and the community,” said Galo Cheung, the SPCA’s community dog programme coordinator. 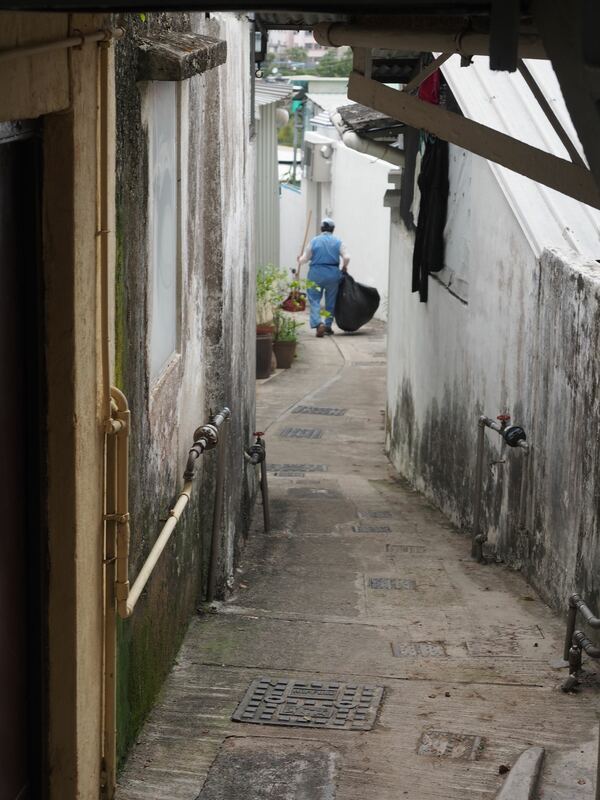 Galo Cheung and his colleague arrived at the Tseng Tau Chung village in Tuen Mun before noon. There, they met up with two of the SPCA’s animal rescue inspectors and several volunteers from other organisations. The group paired up and started working, first by bringing the tools they brought – including rope, crates and traps – up the hill. It was hard work. Soon, everyone was perspiring. A cleaner who saw them trudging up the village path was eager to share her opinion: “I already told him not to keep so many dogs! He could hardly take care of himself, how could he care for so many dogs?” She probably wasn't the only one in the village who thought that. handle the fast multiplying number of dogs. For months Jenny visited Uncle often. She took him dog food and tried in vain to persuade him to allow the dogs to be neutered. One day one of the dogs bit her, and she took the opportunity to warn him: if he didn’t do something about the growing number of dogs, he might end up being prosecuted one day. Finally, the combination of threats and cajoling worked and he relented. Last month, the SPCA caught seven dogs and two litters of more than 10 puppies. The larger dogs were neutered, while the little ones have all managed to find new homes. serve the community and help its animals. This is part of the SPCA’s desexing programme for mongrels, which are known colloquially as tong gao. With support from the Fu Tak Iam Foundation, the SPCA’s clinics have been providing free neutering services for healthy mongrels between four and seven months old. The aim is to perform 9,000 neutering operations in three years. Last year, the SPCA operated on 2,698 dogs. Why target the mongrels? Dr Fiona Woodhouse, the deputy director for welfare at the SPCA, says they are a key concern for animal welfare efforts in Hong Kong. 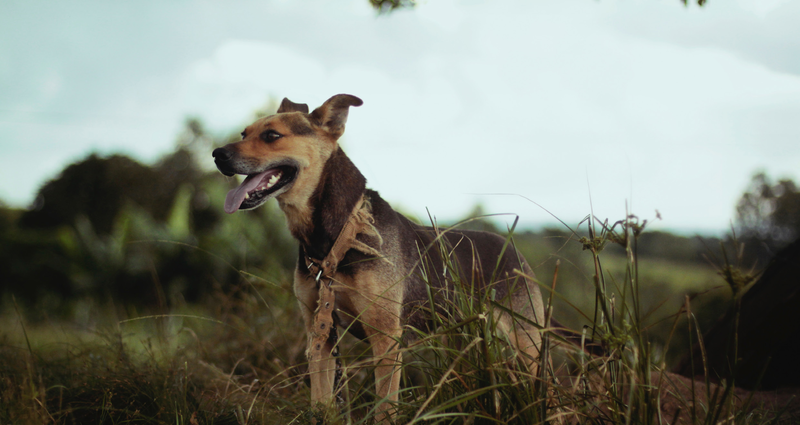 “People have developed two ‘dog systems’ – pets that are companions and working animals that guard construction sites and car parks," Dr Woodhouse says. Though willing to lavish care on pets, people tend not to spend money on taking care of the mongrels. "When the dogs become inconvenient, they dispose of them. They can always go next door and get a puppy." Mongrels have no real value because they are perceived as being quite easily replaced. Do tong gao not deserve our care? SPCA staff are often told by members of the community they work with that tong gao can take care of themselves, and don’t need looking after. Dr Woodhouse disagrees. In fact, over the many thousands of years since humankind first domesticated dogs for companionship and help with chores, these animals have relied on us for survival. If we don’t take care of the mongrels in the neighbourhood, they will upend rubbish bins to look for food and become a nuisance. This will further turn people against them and lead to even worse treatment for the dogs. Strays and mongrels that have not been neutered will keep producing offspring, and the young pups – often abandoned on the streets – will only perpetuate the cycle of neglect and abuse: sickly, malnourished dogs that sometimes end up as roadkill, and sometimes are killed by poisoned meat purposely left out for them… To these animals, life in the city can be dangerous indeed. Part of the SPCA’s awareness-raising programme involves encouraging more people to see tong gao as integral members of our community, highly suited to the environment and weather conditions in Hong Kong. For a start, the dogs have anti-bodies that protect them from the more common diseases found here. After all, they have lived side by side with Hongkongers for hundreds of years now. In short, it’s a rebranding exercise. To this end, the SPCA encourages everyone who accepts its free neutering service for their dog to register their dog. This will also qualify the dogs for free vaccines to boost immunity. It is part of Galo Cheung’s work to persuade people to allow their dogs to be neutered. First, he finds out through various ways where the need is greatest – this includes getting reports from animal rescue inspectors and volunteers, talking calls from residents who volunteer information, and keeping an eye out when he and his team members go on patrols. The most time-consuming part of the process is persuading the dog owners that neutering is necessary. Cheung says the SPCA staff work closely with volunteers on the programme; the former coordinates the transport and medical package while the latter acts as a human detector who knows how to navigate the more remote rural parts of Hong Kong, where it’s easy to get lost without a reliable guide. Volunteers also provide critical hands on deck for the short-staffed SPCA. Another time, Cheung and his team went to Tai O. They got the job done following the lead of several neighbourhood children, who knew the stilt houses like the back of their hands and took them unerringly to where the dogs were. Some of what they’ve seen leave them speechless. Once, just as the SPCA team were preparing to go back after a day’s work, a resident came over with a boxful of newborn pups and said: “Take this, we don't want it.” The team has also found newborn pups in the rubbish dump – lives discarded as if they were trash. “Some of the dogs are treated so badly. I tell the owner, ‘As a worker yourself you know how important worker welfare is, so don’t tie him up all the time, let him run around a bit and play with him, we’re talking about a living being’.” Through such interactions over the days and months, Galo Cheung hopes to spread the message of respect and care for life. Things are already changing for the better. Galo Cheung says there’s more awareness now that dogs should be loved and protected. Working in the rural areas, he has also noticed that the number of puppies appears to be decreasing, a sign that the “trap, neuter, return” programme is working. Back at the Tseng Tau Chung village, the work went smoothly. Just after 3pm, all four dogs have been captured and caged, and put in the SPCA van. They were nervous and scared at first, but slowly calmed down and sat watching the bustle around them, unsure about what lies ahead. They were a pitiful sight. four dogs on this trip. I joked that they looked like businessmen whose business had failed. Not for long, though. Galo Cheung reported that he has seen many looking like they’ve had a new lease of life. 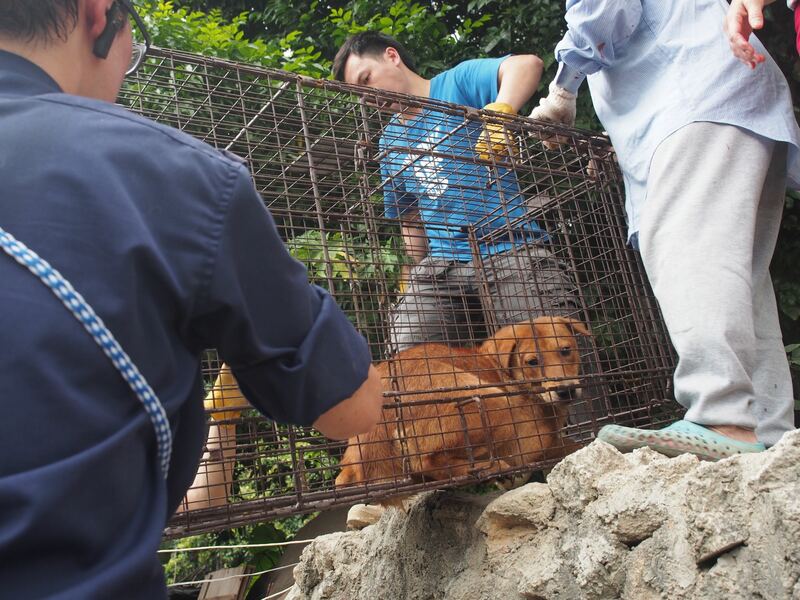 After the operation, the SPCA takes the dogs back to their homes. As they get near, some of the dogs recognise the neighbourhood and start to wag their tails in earnest. Upon arrival, some of them fly into the arms of their owners, ecstatic to be reunited. Some take a little longer to adjust, seemingly still in shock, and Cheung will gently pat them and tell them they are home. The neutering operation is dangerous and painful. Vets regularly perform neutering on animals so they know the procedure well. The procedure is generally safe, with few complications. It would take a few days for the animal to recover after the operation, and painkillers would help to ease their discomfort. The SPCA believes that pet owners who truly love their pets should send them to be neutered, because the lifelong benefits the surgery brings far outweigh the several days of discomfort for the neutered animal. Your pet would put on weight after neutering. It is true that the removal of the reproductive hormones would slow down metabolism, thus increasing the risk of weight gain. But some care in diet and exercise would effectively help to prevent weight gain. Your pet would become listless and unhappy. Pets that have been neutered behave no differently than others mostly, and they certainly won’t become listless and unhappy because of the operation. The only difference is, your pet will no longer treat someone’s hand, leg or item of clothing as a potential mate, and will also stop peeing everywhere. Your dog will become ineffective as a guard dog. Whether or not a dog is alert and barks at intruders is down to the dog’s character. Even after it is neutered, a good guard dog can continue to do his job well.